Today the Friends Community School Board of Trustees announced the appointment of the next Head of School: Angela Garcia, a visionary leader, a proven change-maker, and a spiritual educator with over 25 years of experience in K–8 education. Angela's tenure will begin July 1, 2019. She will join FCS as we enter our 33rd year at a point of both maturity and stability, thanks to the guidance of retiring Head of School Larry Clements. In expressing her philosophy of education, Angela says, “I have learned as a leader that keeping the ideals of a school alive and true is critical to its growth.” She will help FCS continue to grow as a model of progressive, Quaker education with community at its core. Angela comes to FCS from The Fessenden School, a private pre-K–9 boys’ school in West Newton, Massachusetts. As Assistant Head of School, Angela oversees curriculum, professional development, and faculty evaluation of Fessenden’s three divisions with an enrollment of over 500 students. Highlights of her tenure at Fessenden include creating a framework to bring cultural competency to every aspect of school operations, from the curriculum to administrative leadership to admissions and hiring. Angela also led a renewal of the curriculum to incorporate more progressive practices and 21st-century methodologies such as design thinking. Her leadership experiences prior to Fessenden will also serve the FCS community well. As the first Head of School for the Bishop John T. Walker School for Boys, a tuition-free Episcopal school in Washington, D.C., Angela guided the school through its infancy with a budget built from philanthropy. She has a strong educational background, having received her undergraduate degree from Brown University and her master’s in elementary education from the University of Pennsylvania. During her visits to FCS this fall, Angela described coming to FCS as a return to her roots in Quaker and progressive education. Her years as a student at Haddonfield Friends School and Westfield Friends School were formative experiences, and her first teaching job was at William Penn Charter School. Angela’s father, a Methodist minister, had a saying, “We grow by doing”; Angela describes this idea as fundamental to her commitment to being a “servant leader.” She has taught in both public and independent schools, most notably at Shady Hill School, a leading progressive school in Cambridge, MA, where she now serves on the Board. Angela will also be coming home to Washington, D.C., where she lived for 14 years. 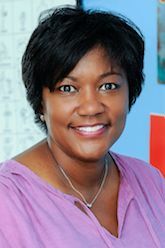 She has extensive professional connections from her years at Bishop Walker, the Center for Inspired Teaching, and as the Lower School Head at St. Stephen’s and St. Agnes School, and from her service on the Boards of the Mid-Atlantic Episcopal School Association and the Alexander Payne Community Development Corp., among others. Angela has presented at the National Association of Independent Schools and the National Association of Episcopal Schools on topics such as leadership, diversity, and empathy. Angela believes that “in a strong community, people are engaged when spaces are created for interaction, discourse, and action.” She could well be describing the FCS community during the search for a new head of school over the past nine months. Members of our immediate and extended community generously shared time and input in the process. In meetings during her visits to campus, Angela impressed people from across the community with her warm and engaging presence, her approach to leadership, her commitment to progressive education and inclusivity, and her joy in interacting with our students. As we celebrate FCS’s future with Angela Garcia (pronounced GAR-sha) as the leader of our school, we also begin to plan for what is immediately ahead. Larry will be working with Angela to prepare for the transition. Jessica Braider, Co-Clerk of the Board of Trustees, is forming a Transition Committee comprising representative members of the FCS community. The Transition Committee’s role is to welcome and support Angela as Head of School and to promote good communication and positive engagement between Angela and our entire community during the transition, during anticipated visits to campus between now and July 1, and throughout her first year. Please join us in warmly welcoming Angela Garcia to the FCS community as our next Head of School. The Board would like to extend its deepest gratitude to the whole community for their insights, involvement, and support during the Head Search process. Special acknowledgment is due to the Head Search Committee. The people who served on this committee have a true passion for FCS and its future. Thank you Martin FitzPatrick, Jade Eaton, LaShawn Lancaster, Malissa Griffin, Patrick Mulvey, and Trish Petty for all your time, dedication, and thoughtful leadership in the past year. The Board would also like to extend deep gratitude and appreciation to the Advisory Committee. The Advisory Committee, under the leadership of Alexandra Whyte, represented key constituents of the FCS school community—parents, faculty, staff, and members of Adelphi Friends Meeting. Thank you for your immeasurable time, dedication, and thoughtfulness in this important process.